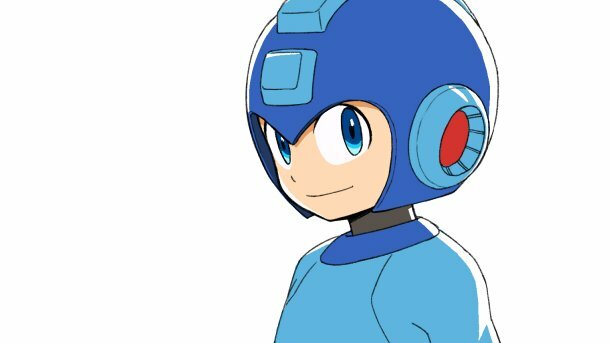 Mega Man 11 is real – like, you'll actually get to play it in a few months. But why now? Why wasn't Mega Man 11 a thing three or even five years ago? In an interview with Venture Beat, Mega Man 11 director Koji Oda revealed it had everything to do with Mega Man Legacy Collection's commercial success. And there you have it. Mega Man Legacy Collection's one million units was the metric needed to push those infamous "top men" to greenlight a Mega Man project. Finally. And hey – if Legacy Collection led to Mega Man 11, I wonder what the sales of Mega Man 11 AND Mega Man X Legacy Collection could lead to? For more on Mega Man 11's origins, read the full interview at Venture Beat. There you go, folks! Sales do speak after all! We have shown strong support and it paid off well! We can do it again, so it will inspire the devs to continue with the brand! Now, watch the game tank because all those million people really just wanted to play a "memory-perfect" version of Mega Man 2. Doubtful. possible DLC will change that later on. Honestly? I'd love to see those 2.5D mock-ups of Pumpman's and Stoneman's stages turned into actual, playable stages, complete with 2.5D enemies, bosses, etc. Bonus points, if you get to use their weapons in the main game (with Protoman and Bass, too, if they become playable)! now the sales of MM11 are goig to play a decissive role in whatever they decide to do afterward. Really ? Do I believe him ? I smell the rat. Yeah, right. SMH. What about megaman 10 sales? more like to influence us I think (to buy MMLC since it was a cheap collection without nothing new). What's that? Sells drive productivity? Shocking. Talking with your wallet is always more effective than talking with twitter or a facebook account. Disregard all pointless anger and embrace pragmatism. May the same happen with Megaman X. Amen. CAPCOM will probably be looking at the MMX Legacy Collection sales, and (based on the above news) how well those do will certainly determine whether or not there is a Mega Man X9. Pretty sad that the deciding factor was "Do you like Mega Man enough to buy a fouuuuurth (minimum) port of these games?" really? 1 million were sold? Well with the Switch I can believe they would hit that number but that was announced the same day as Megaman 11. I was nowhere under the impression that the Legacy collection was that successful. Here's to X Legacy Collection to follow the same route! I gotta say Protodude there is one thing about this that is bothering me. What if the MMLC was a buggy mess like the mobile mega man ports? Would us not buying something like that say that "We don't want mega man?. Or would it be Capcom's fault for not putting in the effort to make sure we get a good product? Obviously the MMLC1&2 we got have good ports of the games and I am looking forward to also getting the MMXLC1+2 and MM11 but this is something that makes me concerned about this plan Capcom has on making sequels to their games. Okay... now just remaster Legends 1 and let us buy that. >I wonder what the sales of Mega Man 11 AND Mega Man X Legacy Collection could lead to? A Battle Network Collection, clearly. Haha! after reading that, it is confidently to say that no ZX3 and L3-gend will ever get made. Unless their respective games/collections hit 1 million sales worldwide, or if this new Rockman team somehow able to convince KEEPCON-ning with what they've got for upcoming years. It's money base through fans, over fan base with less money gains. Not worry about X9 at all. We need to focus on X Legacy Collection for Rockman/MegaMan X9 FIRST before Legends 3, MegaMan ZX3, don't forgot MegaMan ZX Advent 2 and Battle Network 7.